MOSCOW, Russia (BulgarianMilitary.com) – On 2nd February, the Russian President Vladimir Putin reported that the strategic UUV Poseidon has completed its key stage of trials, learned BulgarianMilitary.com. 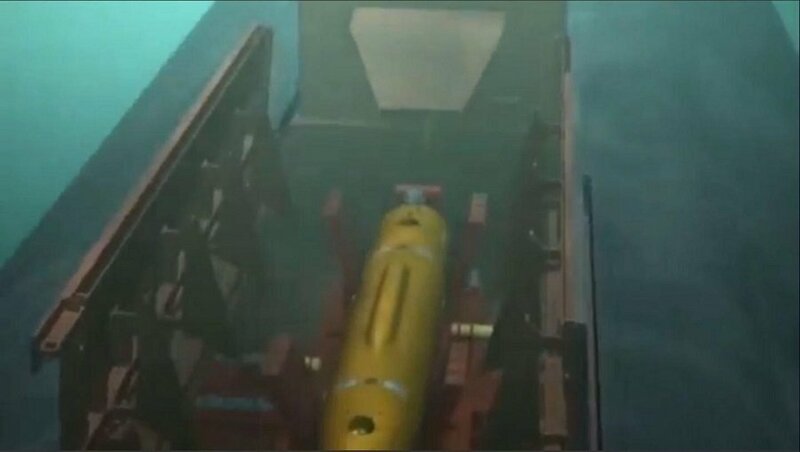 Previously, the Russian news agency TASS reported, citing a source in the defence industry, that the unmanned underwater vehicle Poseidon under development in Russia would be capable to carry a nuclear warhead with a yield of up to 2 megatonnes thus to destroy enemy naval bases. It was also known that the underwater trials of the drone are underway. Poseidon UUVs along, with their nuclear-powered submarines, are part of the so-called oceanic multipurpose system. On Sunday (3th February), the state-run media quoted an unnamed source in the Russian defence industry, who told that the UUV from the Poseidon oceanic multi-purpose system would feature capabilities to autonomously skirt any enemy defense systems, making it invulnerable to its performance characteristics. We recall that the running depth of the UUV will exceed 1 km and the drone will reach a speed of more than 200 km/h owing to new technical solutions. The information provided by the source is not officially confirmed by TASS. On 1st March last year, the Russian President mentioned in his state-of-the-nation address to both houses of Russia’s parliament for the first time the effort that was put into developing a nuclear-powered unmanned underwater vehicle that could carry both conventional and nuclear warheads and featured characteristics to destroy aircraft carrier groups, enemy infrastructural facilities and other targets.